Ghouls and goblins, games and give-aways… and grackles. Downtown Artesia will be a cacophony of all of the above Saturday as Artesia MainStreet, the Artesia Historical Museum and Art Center, the Artesia Public Library, and the Artesia Arts Council team up for an evening of Halloween fun. Families will be able to progress through a full afternoon and evening of fun, as the museum hosts its annual Dia de los Muertos event from 1-4 p.m., the library welcomes children for crafts, treats and activities from 3-5 p.m., and MainStreet sponsors the Third Annual Trick-or-Treat Main Street from 5-7 p.m. Then at 7 p.m., the arts council will give its final performance of “Nightfall with Edgar Allan Poe” at the Ocotillo Performing Arts Center. “Every event is free and open to the public,” said Elisabeth Jackson, MainStreet executive director. At the museum, children will be able to participate in a variety of Dia de los Muertos-themed activities, including decorating their own sugar skulls. The library’s event will feature a popcorn bar for youngsters to customize their own goodie bag. The Artesia Arts Council, Ocotillo Comedy Troupe, and Artesia Community Theatre will be giving three performances of “Nightfall,” starting with 7 p.m. today and 2 p.m. Saturday. Tickets for those showings are $15 for adults, $10 for students, and may be purchased online at www.artesiaartscouncil.com or at the OPAC box office, 746-4212. Those wearing a costume, however, to Saturday’s 7 p.m. show will receive free admission. This year’s Trick-or-Treat Main Street, meanwhile, will be the largest yet, with 22 downtown businesses participating. That portion of Fourth Street will be blocked, and for the first time this year, Main Street will also be closed to traffic from Second to Seventh streets from 5-7 p.m.
“We were approved through the New Mexico Department of Transportation, so no vehicle traffic will be allowed on Main during those two hours, meaning kids will be able to cross back and forth safely,” Jackson said. “We’ll still have police officers on hand, but this way we can reduce the amount of traffic going down Main during the actual trick-or-treat event. 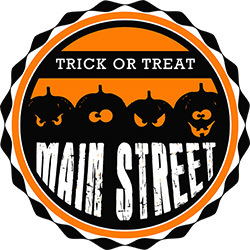 In 2016, MainStreet saw their biggest turnout yet for the event, with more than 2,000 children making their way up and down Main, collecting candy as they went. “We were able to quantify that because the Eddy County Sheriff’s Office – which is coming back again this year – had premade goodie bags they were handing out, and they were down to their last box of 500 when the event ended,” said Jackson. This year’s festivities look on pace to break that record again, as word is beginning to spread in nearby communities about the opportunity to gather a pre-Halloween stash. “Pre-Halloween” is something else Jackson stresses: Trick-or-Treat Main Street does not replace traditional Halloween trick-or-treating in the community but is simply an added way for kids to enjoy the season. “Halloween is still on Tuesday, trick-or-treating in town will still go on Tuesday,” said Jackson. “We just hope everybody comes out Saturday, as well, and enjoys all of these events.